I'm trying to make an AIO windows Installation and Recovery Iso, I'm all successful in the part of merging images and languages, but I'm having trouble integrating the MS DART into the setup process. I have followed the tutorial here , but I'm unable to make it show the options whether to install windows or boot into one of dart versions. but I don' t think this is your issue . Your BCD seems like having "default" everywhere whilst Cluberti's article (if actually reproduced) leads to having actual GUID's, so you must have not followed it exactly, possibly by trying to take some shortcuts when editing the BCD. that may contain topics of interest to you. 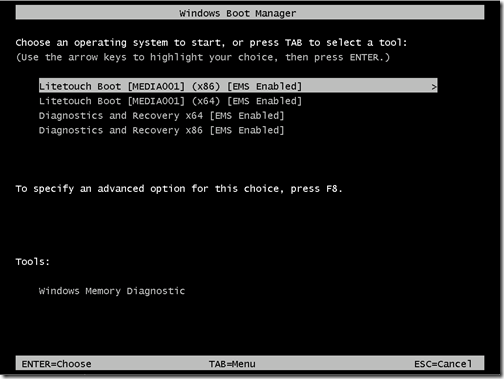 Use 'bootmenupolicy Legacy' to get the text mode menu.